Since 2002, ICNC has been the world’s premier supporter of civil resistance research and provider of civil resistance education. We have educated thousands of activists, movement leaders, policy makers, journalists and fellow NGO’s about the various strategies, tactics, issues, actors, dynamics and outcomes of civil resistance struggles across the globe. Drawing from cutting edge scholarship and insights from activists on the front lines, we widely share our publications, online courses, news and analysis with all audiences. Our publications and online resources, produced by leading scholars and esteemed practitioners, are readily available for free or at nominal costs. Civil resistance is a way for ordinary people to confront oppression—using powerful tactics such as boycotts, strikes, mass demonstrations, civil disobedience, and many other nonviolent tactics—and win rights, freedom, and justice. Civil resistance is most effective when it is used collectively, by popular movements or campaigns, comprised of people who strategically withdraw their consent from oppressive systems, refuse cooperation, and constructively shift their patterns of behavior. This disrupts the balance of power in society, and even entrenched power holders willing to use violence have proven vulnerable to such nonviolent pressure. 1. Civil resistance is a means of political and social struggle, rather than an ethical proposition or pacifism. In civil resistance movements, people often remain nonviolent for pragmatic, rather than philosophical, reasons. 2. Civil resistance is a methodology of struggle comprised of hundreds of methods. Famously, in 1973 the political scientist Gene Sharp identified 198 tactics that had been use throughout history. Many more have been identified since then. As such, civil resistance is not a synonym for protest, and civil resistance movements are not “protest movements”. 3. Civil resistance movements have a remarkable historical record of overcoming oppression. While success is not guaranteed, the historical record and award-winning scholarship shows these movements have a strong probability of achieving their goals and leading to democratic outcomes and consolidation gains. 4. Civil resistance movements can succeed even in adverse conditions. Throughout history, organized, unified people have waged strategic nonviolent struggle in very challenging environments, against powerful opponents willing to use violence, and still achieved their goals. The conditions in a movement’s environment don’t tell the whole story—a movement’s skill and strategic choice are major factors in its success or failure. This is why ICNC is dedicated to developing and sharing the most timely relevant knowledge we can in this field. 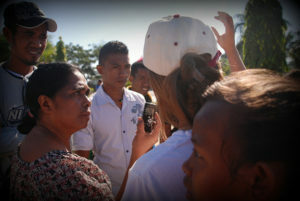 ICNC is happy to help journalists explain civil resistance so that their readers, viewers and listeners have a more accurate and clearer understanding of the discipline generally and of particular developments in the news. Our staff experts, academic advisors, and colleagues in the field are among the world’s leading authorities on civil resistance and its widespread use in countries around the world. 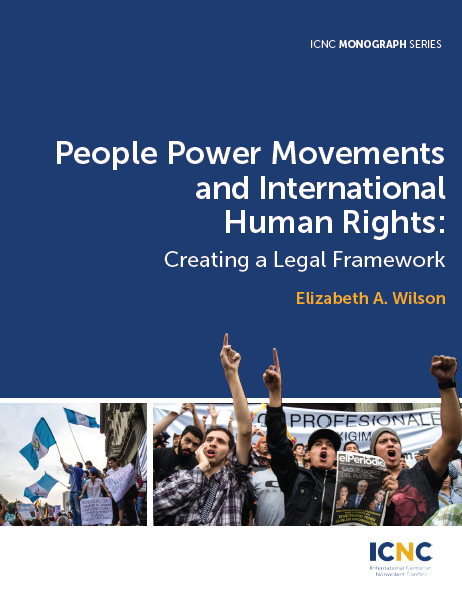 We look at movements for democratic rights; self-determination; women’s and minority rights; transparency (anti-corruption); labor rights; peace and security; economic justice, and environmental sustainability and justice; and many other causes. We also look at movements confronting governments, corporations, violent non-state actors, or a combination of such actors. Visit our online Resource Library to find hundreds of resources on civil resistance in nearly sixty languages. Search resources by keyword or a variety of categories to find material in your language and relevant to your interests. Many resources are downloadable. From a work stoppage in Chile and a boycott in South Africa, to a sit-in in Pakistan and a protest march in the U.S., civil resistance matters. It shapes societies, nations, and our world. ICNC is proud to present Minds of the Movement. We write for those interested in the ideas and experiences of people on the front line of civil resistance, and those who seek to understand the art and science of nonviolent struggle. Ours is a forum for people interested in this growing field, including activists, scholars, students, journalists, and members of the INGO and policy community. 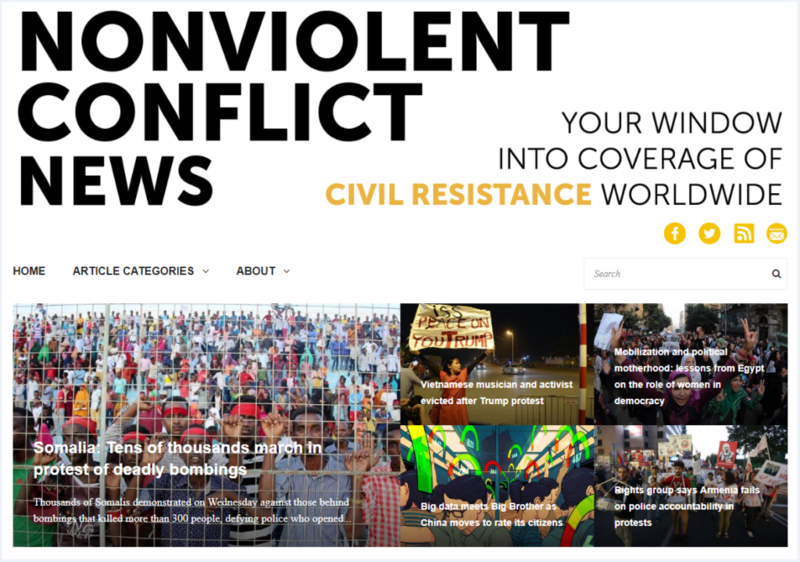 Nonviolent Conflict News (NVCNews.org) compiles news coverage of civil resistance around the world — focusing on trends, ideas, and the actions of movements and campaigns nonviolently struggling against oppression, dictatorship, and the denial of rights. Interest in civil resistance has increased dramatically over the last decade, and yet there is no single source of news that covers this phenomenon globally. NVCNews aims to be this source. The site consists of news stories that have already been published in a wide range of independent and mass media outlets in which objective information can be found. Each story is accompanied by a summary drawn from articles’ original text, prepared and edited by the site editors, that highlights the story’s relevance to the dynamics of civil resistance, to a specific movement or campaign, or to the larger context of such events. Sign up for our bi-monthly newsletter to stay up-to-date on related news. For more information about ICNC, our academic and field initiatives, and resource library; or to arrange interviews or background briefings with our civil resistance experts, contact Deborah Mathis, Director of Communications at +1 202 416 4736 or by email at dmathis [at] nonviolent-conflict [dot] org.